The African kingdom of Alodia (Aloa, or Alwa, the Arabic form of the name) was a medieval Nubian state which formed during the very murky, undocumented period of the sixth and seventh centuries. The best known and probably most powerful Nubian kingdom in this period was Dongola in northern Sudan and southern Egypt. Both it and Alodia emerged in the centuries after the fall of the Kushite kingdom which had dominated the region from 785 BC to AD 350. This occurred alongside a third kingdom named Nobatia, with its capital at Pachoras (modern Faras). 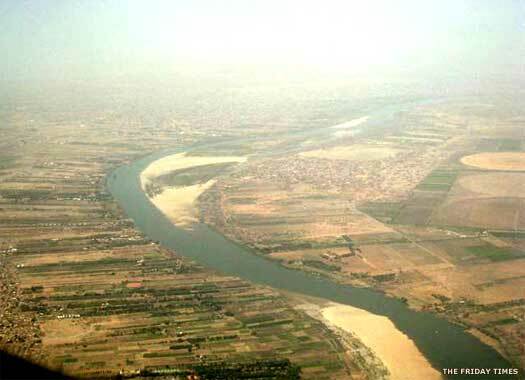 Alodia was formed around its capital at Subah (Soba) near what is now Khartoum, making it the southernmost of the three kingdoms, all of which lay along the Nile. 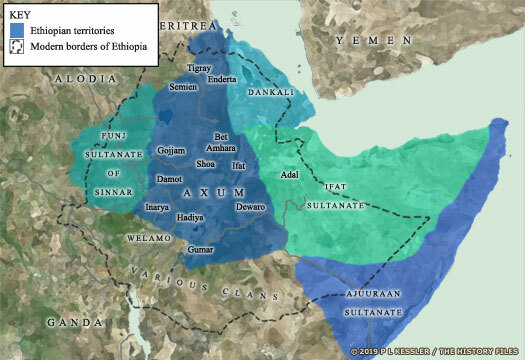 Alodia's territory stretched from the south of the Fifth Cataract all the way to the Ethiopian uplands. Interestingly, an analysis of the name Alodia suggests it might be Visigothic or Vandali, deriving from the Germanic elements ala, meaning 'other' or 'foreign', and od, meaning 'riches' or 'wealth'. There was also a Saint Alodia, a ninth century Spanish martyr whose sister was Nunilo. Could refugees or captives from the ending of the Visigoth kingdom in Spain or the Vandal kingdom on North Africa have found their way into Nubia to influence the founding of this Nubian splinter state? Certainly, given the dates and geography, the Vandals would be favourites for this. Alternatively, Edward Dawson prefers a translation of ala or the more Germanic wahl as 'Gaul' or 'Celt', and only 'foreigner' by extension. Alodia could be the people of Al, ie. God. God in Semitic languages (including peoples with a Semitic priesthood) is rendered as El in Hebrew, Al or Allah in Arabic, and Ela in Yoruba (a Semitic priesthood established in the Ifa religion). When the Nubians conquered Meroë at the start of the sixth century BC, some of the Meroë fled west and ended up establishing themselves in what is now Nigeria and Benin. This is known because the priesthood there uses technical words which are Semitic. One of these is 'Al' as a prefix, used in the names of their spirits (angels). In Yoruba, 'Olu' means a chief, ruler, or owner, and a chief priest in Ifa and Ogboni is an Oluwo. An owner in modern Yoruba is 'oluwa'. This is also found in Benin (ancient Dahomey) as the name of the angels, loa or lwa (contracted 'oluwa'). This gives us a Semitic-based definition of the name: 'the owners' or 'the rulers'. Curiously, it is the same name as the Dumnonii tribe of pre-Roman Britain, but in a different language (Semitic words adopted into a Sudanic dialect from the Nilo-Saharan language group). Note that there is strong evidence for a Semitic priesthood (Hamito-Semitic, ie. Egyptian) in the area prior to its conversion to Christianity. Egyptian gods are found in the Meroë area in the form of stone carvings or writings. Also note that the above implies (not proves) that the meaning of Al or El as the name of God means 'owner' or 'ruler'. The Aramaic word for god is Aalah. This period sees missionary work carried out by Julian, who proselytises in Nobatia on behalf of the Eastern Roman empire. The new religion appears to be adopted with considerable enthusiasm. Name unknown. Accepted Eastern Roman Christianity. Nubia is once more brought into the orbit of the Mediterranean world by the arrival of Christian missionaries from the Eastern Roman empire. The kingdom of Dongola converts to Christianity, as does Alodia, which the missionaries also describe as being a kingdom. Axum's influence is strong there, and the missionary work is carried out by Longinus, the first Monophysite bishop of Nobatia. The church of Alodia remains subordinate to the bishop of Alexandria from the start. However, after the work of the missionaries is concluded, the region sinks back into obscurity, and only re-emerges in the seventh century. Could it be this missionary work that introduces possible Germanic elements into the region and helps to form Alodia? Given Dongola's apparent dominance of northern Nubia at this time, Alodia may be a splinter state, perhaps formed when Subah is seized by a new group who are sufficiently powerful to deny Dongola's authority. This is purely theoretical, of course, and if the alternative option regarding the elements that form the name Alodia are correct (see the introduction), then it is a discounted theory. Egypt is conquered by Islamic armies and Nubia is cut off from the rest of Christianity, both at Alexandria and from the Eastern Roman empire as a whole. An invading Islamic army is repulsed and a treaty (the baqt) is signed which ensures the peace throughout Nubia north of Alodia until the thirteenth century. Around the same time, Dongola expands to annexe its northern neighbour, Nobatia (if it has not done so already and if the two kingdoms are not one and the same). In the south of Nubia another kingdom emerges. Named Dotawo, it has a capital at Dau (modern Djabel-Adda). Alodia is conquered by Makuria and for two centuries the two united kingdoms enjoy a stable and prosperous period in Nubia. The kingdom of Dongola enters a sharp decline, due in part to increased Bedouin attacks after these tribes people have been pushed south by the Ayyubids. Cities have to be defended by new walls, buildings are made stronger, and some settlements are moved to more defendable locations. Alodia regains its independence in 1174 but the two kingdoms retain strong relations, apparently by blood ties between the two ruling families. An Arab writer, al-Harrani, reports that the Aldoian capital has been moved to Wayula. The Christian names of rulers in Dotawo are suddenly replaced by a much more Arabic tone, suggesting that incoming Arabs have now filtered this far south and have had a noticeable impact upon that kingdom and probably the others as well. An alternative possibility is that surviving record-keeping in Nubia is now handled by Arabic speakers alone. Increased aggression from Egypt and internal discord soon leads to the fading and collapse of Makuria, so is this the point where its kings, possibly also those of Dotawo, find a final refuge in Dau? The increased aggression from Egypt and internal discord leads to the fading and collapse of Dongola. Egypt's interference also sees Arabic speech and religion gradually seep into Nubia over the course of the century, and Alodia also fades and collapses around the same time. This decline is largely undocumented and causes a great deal of confusion in later researchers and writers. It seems that Alodia's collapse is complete, with the former state splitting into as many as nine separate regions or petty kingdoms (according to reports by Mameluke emissaries). Nubia has already witnessed the gradual penetration of small Arabic groups moving southwards from Egypt with their families. There are two mainstream views of what happens next. The first, and more common, is that the Arab infiltration merely weakens the Alodians, causing them to fracture into nine states and making them ripe for takeover in 1504 by a new force from the south which is aided by the Arabs. The second is that these Arabic groups form into a confederation under Abdullah Jamma around 1480 and capture the territory that once formed Alodia, taking its former capital at Subah. Once there, Abdullah forms the short-lived Abdallab empire. Either way, Dotawo is now apparently the last remaining Christian kingdom in Nubia.